When it comes to the air we breathe and our health, as well as that of our families and pets, eco-friendly cleaning products are well-worth the investment. Made from sustainiable, biodegradable ingredients which are safe and non-toxic, such products don't have a negative impact on the environment or your health. Whether bought or made, here are GreenPak Malta’s reasons why you should choose natural, eco-friendly cleaning products. Using eco-friendly products reduce symptoms such as sneezing, rashes and headaches; often caused by the toxins found in conventional cleaning products. The biodegradable ingredients used in green products don’t negatively impact the environment like the hazardous chemicals found in traditional products do. 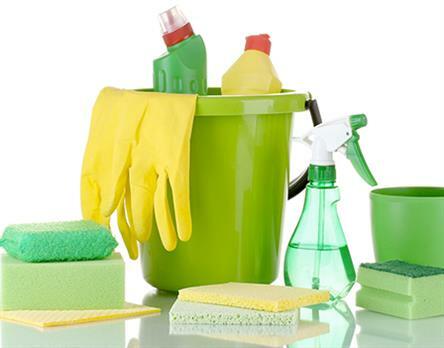 Commonplace cleaning products release volatile organic compounds, which have been associated with a number of health problems, namely damage to the kidneys and liver. Getting rid of such products will reduce indoor pollution and thus, help you breathe more easily. With labels like ‘Flammable!’ and ‘Toxic!’ on many regular cleaning products, you can imagine how safe they are used alone, not to mention how dangerous they can be when two chemicals are mixed together. Replacing these with green, biodegradable products ensures that they are neither toxic nor dangerous. Making your own products using natural ingredients for your cleaning will land you with more money in your pockets, and who wouldn’t like that, right? Alternatively, for those of you who prefer to buy eco-friendly products, we suggest going for an all-purpose cleaner that does multiple jobs, rather than spending money on an arsenal of different toxic products for every cleaning job. It's no housewives’ tale - vinegar can be used for multiple purposes, in fact, it can easily replace window cleaners, toilet bowl cleaners and mould removers. Essential oils are also a great alternative to conventional cleaning products. Not only do they clean, they also have health benefits, which is why they're often used in massages. One you can make easily is a citrus and herb spray, using lemon essential oil which is antiseptic, antimicrobial and cuts through grease and grime effectively. Another essential oil is lavender, which has antiseptic and antiviral qualities.The options are endless, just ensure to research whether whatever essential oil you pick is not harmful to pets. Remember our Crush & Win Campaign! GreenPak is dedicated to working towards a cleaner, greener environment by promoting reducing and recycling in Malta. If you would like to take part of our mission to reduce plastic waste, from empty detergent containers and cleaning product bottles, find out more about our Crush & Win Campaign here. The great part? You could win €100 daily! Remember to follow all of our updates on Facebook and Twitter.